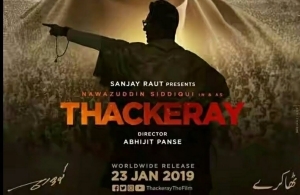 This biopic traces the rise of Bal Keshav Thackeray, as he goes from being a cartoonist, to establishing a new political party for Maharashtrians, the Shiv Sena. The film takes us through the journey of his political life and also giving us a glimpse of his personal story. All of this as Thackeray becomes the most influential political leader in Maharashtra. Balasaheb Thackeray, as he was fondly called by the public and his peers, was an influential leader and an equally controversial figure. His political career had many fiery moments characterised by crowd-cheering speeches, some of which resulted in riots and violence, too. The film presents both the applauded and the less appreciated shades of Thackeray’s life and career. Powered by a stellar performance by Nawazuddin Siddiqui, this biopic rises above an inconsistent screenplay, to present an intriguing political career.